Michael Jackson's death five years later: Where are they now? 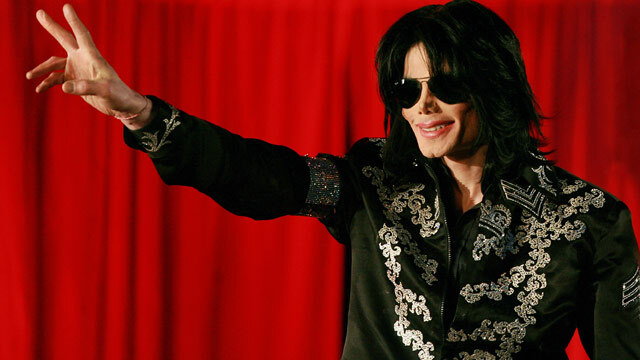 Five years ago today, the world was coming to grips with the death of Michael Jackson. It would be months before details of what exactly led to his death emerged. Many of those facts came to light at the trial of Jackson's private doctor Conrad Murray. He was convicted of involuntary manslaughter and went to jail. The disgraced physician is not out of prison. It's hard to believe that five years have passed. Jackson's youngest child, Blanket is now almost a teenager. CNN's Randi Kaye looks at what's happened to the people in Jackson's life since he died. Jose Baez, Mark Geragos and Jeffrey Toobin talk about preparing high-profile clients for the spotlight after being acquitted. Will Murray conviction be overturned? Mark Geragos and Jeffrey Toobin react to Anderson Cooper's conversation with Dr. Conrad Murray, Michael Jackson's doctor who's serving a four year sentence for the singer's death. In the surprising exclusive, Murray gave his account of his relationship with Jackson, argued why he thinks his manslaughter conviction should be overturned, and sang a song to explain himself. Toobin says despite Murray not being a good doctor, he made a valid point about the role of Jackson's family in the story. "He is not the only person responsible for Michael Jackson's death. Michael Jackson himself is responsible, his bums and leeches in his family who are now even in death trying to profit off him...I think sorting out the responsibility for his death is going to be difficult in this case." In his first interview since he was jailed, the doctor sentenced to four years in prison for causing Michael Jackson's 2009 death told his version of events to Anderson Cooper. Dr. Conrad Murray is in the process of appealing his conviction, arguing it was Jackson who was responsible for his own overdose, and that there was an obstruction of justice during the trial. Tonight he claimed he was actually trying to steer Jackson away from propofol and had "good" intentions. "I maintain that innocence. I must tell you, I am extremely sorry that Michael has passed on. It's a tremendous loss for me," Murray told Anderson. "He was an absolutely great friend. To be honest, I became a sounding board for Michael. He offloaded and regurgitated everything that was bad in his past and everything that was dark." Anderson questioned Murray about whether he feels guilty for the pop star's death, why he was treating Jackson at home with a surgical anesthetic, what he wants to do with his life if his conviction is overturned, and why he stepped away from the singer's bedside after giving him a propofol injection. CNN's Randi Kaye reports on the death of pop star Michael Jackson and the ensuing investigation into who should be held responsible. The man found guilty of involuntary manslaughter for causing Michael Jackson's 2009 death will speak out from behind bars in an exclusive live interview with Anderson Cooper at 8 p.m. ET tonight. Dr. Conrad Murray is serving a four year sentence at the Los Angeles County Jail, but is in the process of appealing his conviction. Murray was treating Jackson for insomnia, to help him prepare for the physically demanding "This Is It" concert tour, when the pop star died. Murray maintains his innocence and is hoping to get his medical license back. Ultimately, the prosecution convinced a jury that Murray gave Jackson a lethal dose of a surgical anesthetic. The defense claimed Jackson gave himself the drugs that caused his overdose. Video: Murray to serve time under house arrest? Marcia Clark and Mark Geragos look at the the four year sentence Conrad Murray faces for the death of Michael Jackson. Editor's note: Tune in to AC360° at 8 p.m. ET tonight for in-depth analysis on the Conrad Murray verdict. Los Angeles (CNN) - When Michael Jackson died unexpectedly two years ago, his fans worldwide erupted in a torrent of grief, anguish and - in tribute to the pop icon - song and dance. On Monday, there were hugs, tears and shrieks of joy among his fans packed outside a Southern California courtroom after a jury found Jackson's physician, Conrad Murray, guilty of involuntary manslaughter in the singer's death. "Oh my God, guilty!" one woman yelled out, seconds after the verdict was announced. Others appeared to almost break out in song; some seemed to start dancing; and a chant soon rose up of "Justice, justice, justice." CNN's Randi Kaye looks back at some of the highlights and key moments from Conrad Murray's trial.